Technological advance, globalisation and integration of migrants pose new challenges to the labour market and have prompted a rethink about the skills needed and how to develop them. Initiatives to improve vocational education and training (VET) are underway across the European Union (EU). 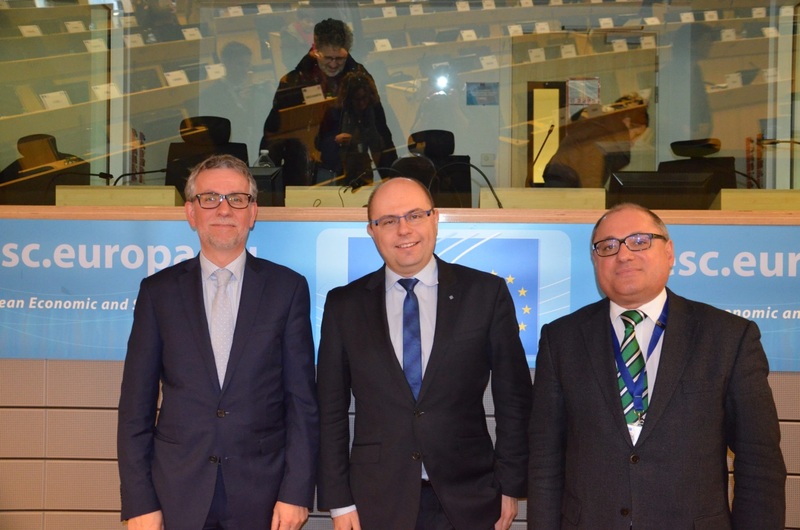 This was the central message of Cedefop Director James Calleja’s presentations to the European Parliament’s Employment and Social Affairs (EMPL) Committee, in Brussels on 23 February and the European Economic and Social Committee (EESC) the following day. Europe’s ageing labour force has to cope with technological advance. Scope for automating jobs has increased significantly, with some studies suggesting that around 47% of jobs in the EU could be replaced by technology over the next 20 years. Further, over 80% of refugees entering the EU arrivals are younger than 35. Access to education, VET and the labour market is essential to their integration. Skill demand is changing and, in response, European and national VET policies are moving to increase access to training for all age groups. Emphasis is on developing core competences such as organisation and communication to help people adapt to change. Work-based learning and apprenticeships for adults and young people are being extended to match training more closely to labour market needs. The quality of VET is being improved, including better training for VET teachers and trainers. The European Commission, Member States and social partners are leading the work at European level, with Cedefop providing technical support through research, analyses and other expertise. Tools such as the European qualifications framework (EQF) and validation guidelines aim to speed up integration into the labour market and improve career prospects. Cedefop is also helping develop a mobility scoreboard to encourage mobility for VET and reviewing apprenticeship arrangements in Member States as part of the European alliance for apprenticeships. At the EESC, Mr Calleja emphasised the crucial role of the social partners. Without their cooperation in providing places for work-based learning, the European alliance for apprenticeships cannot succeed. The social partners also need to develop good jobs that provide people with the training they need to keep pace with change. According to Cedefop’s European skills and jobs survey, more than 53% of adult employees in the EU have seen their tasks change significantly since they started their job, but around 22% have not developed their skills since starting their job.